Club Penguin Cheats by Mimo777 Club Penguin Cheats by Mimo777: Medieval Party Story Clue #4! I think it might be something to do with Herbet. He might be trying to take over the island and using the dragon as a disguise. That might be why he wants to get Gary. 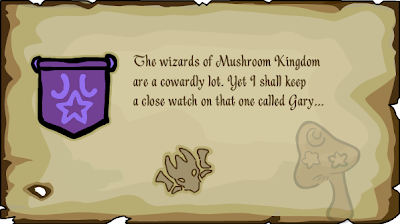 GARY IS GOING TOP BE AT THE MEDIEVAL PARTY! its not a dragon queen mimo,when he said he will keep a close watch on gary he didnt mean that he was a dragon queen!how does that mean that hes a dragon queen!hes a dragon KING!KING KING KING KING KING. Or its everyone's favorite polar bear in a dragon plane. I think it's really gonna be a Super Mario party. The dragon is really bowser. That's why it takes place in the "Mushroom Kingdom"
Fully Wully,that sounds like a bad theory to me. I think it mint be Aunt Arctic she looks like the one who likes Gary. Everyone herbert is asleep but Klutzy is awake. Mimo is just joking aroung when he says ''I think she likes him'' mimos joking with the bit when it says likes mimos making it like loves.